EQUIPPED TO SURVIVE (tm) - Ditching Myths Torpedoed! ©1999 Belvoir Publications, All rights reserved. If you fly much over the water--even if just over larger bays and lakes--you've had to quell the uneasiness that arises when the engine goes into "auto rough" mode the instant you're beyond gliding range of shore. Not to worry; it's not just you. The prospect of going into the water in an airplane terrifies most pilots, chiefly because few of us are well prepared for it and, in general, instructors don't know enough about the relevant risks to make well-informed judgments about overwater flying. As a result, many myths and half-truths about ditching seem to persist, handed down from one pilot to the next who "read something" or "knows someone who knew someone" who vanished without a trace in Lake Michigan on a fine sunny day after a botched ditching. The truth is, overall, ditching is one of the most survivable emergency procedures any pilot can perform. Although survival rates vary by time of year and water-body type, the overall general aviation ditching survival rate is 90 percent, and if you ignore blue water ferry operations, fatalities are actually quite rare. How do we know? We recently reviewed eight years worth of ditching accidents, from 1985 to 1990 and 1994 and 1996. There's no particular magic to these years; they were picked arbitrarily in conjunction with another research project; 1996 is the most recent year in which complete data appears to be available. That said, here's a disclaimer: NTSB data is occasionally incomplete or inaccurate. It's quite possible that some ditchings go unreported since lost aircraft aren't always recovered. We have no evidence that a large number of ditchings are unreported, but we're confident that at least some are. On the other hand, there's no reason to believe that an unreported ditching wasn't successful either. The usual grain-of-salt advice applies. The good news is that ditchings appear to be trending downward, from an average of 30 a year in the mid-1980s to 12 to 15 incidents per year more recently. We don't know why this is so, but it could be due to NTSB reporting procedures or just less flying activity or both. In any case, we think the accident record is accurate enough to draw some broad conclusions. But first, let's define what a ditching is: An intentional water landing in which the aircraft touches down under control. In reviewing the accident data, we ignored accidents which appeared to be "water crashes," high speed impacts, stall spins or spirals. Surprisingly, reading the accident reports, it's usually easy to distinguish one from the other, although there's admittedly some fuzzy overlap. If you believe this, you've been led seriously astray. Of the 179 ditchings we reviewed, only 22, or 12 percent, resulted in fatalities. Although survival rates vary by time of year and water-body type, the overall general aviation ditching survival rate is 88 percent. Yet, even that record is somewhat misleading; the potential ditching survival rate is actually a bit better. To understand why, let's define two terms: "egress rate" and "survival rate." For our purposes, successful egress means that one or more occupants exited the aircraft safely after the ditching and got into the water relatively unscathed. Survival means that all of the occupants were rescued or swam to shore under their own power. In other words, the ditching accident resulted in no fatalities. According to our review of the record, the successful egress rate is 92 percent, meaning that in more than nine out of 10 cases, at least some of the occupants got out of the airplane and ultimately survived the experience. In a few of these cases�seven, to be exact�some or all of the occupants got out and then drowned or succumbed to exposure while in the water. It's fair to conclude that in several (if not all) of these accidents, survival equipment would have made the difference. In one such fatal accident in the Atlantic near Nantucket island, the aircraft was found with the doors open and seatbelts released, but only the pilot's body was recovered ten days later. The passenger's body was never recovered. Obviously, both occupants exited the aircraft. In all likelihood, a raft or life vests would have saved them but the aircraft with equipped with neither. Ironically, the NTSB investigation revealed that the pilot owned survival equipment, but it was stored in his hangar. He had just bought the airplane and evidently hadn't transferred the gear. If you exclude what we consider to be the high-risk over water operations--the long distance ocean ferry flights that are only a small part of the total over water flying--the egress rate rises to an astonishing 95 percent. We have little doubt that with even minimal survival equipment, the total ditching survival rate would be nearly as high. Where and when you ditch matters more than what you ditch. Examining the fatal accidents, we found that two-thirds of the 22 occurred during the winter in cold or temperate climates and 12 percent are what we call "blue water" ditchings in the open Atlantic or Pacific, done by ferry pilots on extraordinary missions in light singles or twins, or fish spotters operating far from shore. Since ferry and fish-spotting missions are really beyond the ken of everyday general aviation operations, throwing these out of the equation pushes the survival rate to an encouraging 90 percent. You won't convince us of that. Of the 179 ditchings, 87 involved high wing airplanes (49 percent), 73 were low wings (41 percent), and the rest were helicopters. Yet, in the subgroup that involved fatalities, high wing airplanes were noticeably underepresented: Although they were involved in 49 percent of all the ditchings, they represent only 27 percent of the fatalities. On the other hand, low wing airplanes represent 41 percent of the total ditchings, but accounted for 68 percent of the fatalities. Pure poppycock. That's not to say this can't happen or that it hasn't. However, it appears to occur only in extreme circumstances. For example, in one blue water accident, a ferry pilot eastbound from Canada to Europe in a Cessna 210 planned a fuel stop in Greenland but had to push on to Iceland due to poor winter weather. He ran low on fuel and had to ditch in the Atlantic at night, with 35-knot winds and high seas. Despite having rendezvoused with a C-130 SAR patrol which lighted the ocean with flares, the Centurion disappeared without a trace, taking both pilot and co-pilot with it. A couple of other ferry flights vanished over the horizon far out at sea, after reporting engine trouble. But, these aren't the sort of conditions you'd expect to encounter on an afternoon flight to the Bahamas or Santa Catalina. In such circumstances, there's simply no evidence that the airplane will head straight for the bottom during a ditching that's pulled off reasonably well. The accident record shows that the touchdown may be violent and wet, but not likely a scene from Run Silent, Run Deep. Not really. During the seven year period, we found 22 blue water ditchings. These are long-range ferry flights over the Atlantic or Pacific or fish spotters operating far from shore. According to our records sweep, there were four fatalities in this group of 22, for a survival rate of 82 percent, not too much worse than it is for inshore ditchings. Admittedly, it's quite possible that our research failed to turn up aircraft that went missing with no reports filed. It happens. We simply don't know how often it happens. Even if we missed a dozen such accidents, the key point remains unchanged: The Coast Guard, Navy and merchant vessels routinely fish pilots from the ocean. No doubt blue water ditchings are higher risk, but they certainly don't pose a grim survival outlook, either. This one has sparked more hangar arguments than debating over pitch and power. Here's our view: It probably doesn't make much measurable difference. Or, put another way, if you think it does, show us some data. Unfortunately, the accident records shed no useful light on this controversy. Pilots often don't remember whether they extended gear and/or flaps; they don't recall if they landed with the swells or upwind or crosswind. Even if they do remember, this detail often doesn't make it into the accident summary. We think the best you can do is to examine the big picture: Irrespective of aircraft configuration, do the pilots and crew get out of the airplane after impact? Yes, overwhelmingly. How often does the airplane flip over because the gear caught in the water? We don't really know. But even if all the airplanes flipped--highly unlikely--the occupants still manage to egress safely. Conclusion: It may not matter much. From films of live ditchings and interviews with survivors, our impression is that most airplanes don't flip, but dig in one wing, turn and settle upright or settle straight ahead with a bit of nose under moment. But, we simply don't have enough reliable information to make a definitive judgement on this. Our best advice is make your own assessment and configure the airplane accordingly. More critical than configuration, in our view, is touching down parallel to the swells, or if that isn't an issue in calmer water, landing into the wind or with the river's current to yield the lowest possible touchdown speed. Worth noting is that 9 of the 22 fatal ditchings involved retractables. As with the high wing versus low wing controversy, these numbers are too small to draw any meaningful conclusions. Your co-pilot suggests you reconsider that ditching and he's proven right. On June 26, 1989, the pilot of a DC-3 flying near Petersburg, Alaska noted that the fabric on one of the airplane's ailerons separated after takeoff. Further noting that his control wheel appeared to have gone slack, the pilot elected to ditch the airplane, using rudder and differential power. A mechanic-pilot in the right seat reported that his control wheel was functioning normally, an observation which the Captain rejected. Post-ditching investigation revealed that the mechanic was right. A little engine out practice turns into a swim. A multi-engine student and CFI departed St. Petersburg, Florida on July 29th, 1987 for some engine out work in an Aztec. After shutting down the left engine, the student performed the proper engine-out procedure but the airplane wouldn't maintain altitude. Unable to re-start the engine, they ditched in a shallow bay. The fact that the left main gear was extended evidently didn't help much. When your mountain flying lessons don't pan out just right. A Cherokee pilot departed Knoxville on August 14th, 1987, lost power shortly after takeoff and ditched in a river. The accident probe revealed that the mixture was more than a full inch from rich, the pilot having ground leaned before takeoff due to high density altitude. Those pesky tiedown ropes actually hold something. A Bell 206 pilot was attempting takeoff from an overwater platform with the nose tiedown still attached. The helo pitched forward into the water but the pilot escaped with a back injury. The Feds question your dedication to ongoing maintenance. The pilot of an MU-2 went swimming off Jacksonville, Florida in January of 1990 after the aircraft wouldn't maintain altitude following an engine failure. Investigators couldn't understand why the prop controls didn't work quite right but the fact that the airplane hadn't had an annual in six years may have had something to do with it. The Coast Guard keeps interrupting your naps. The pilot of a Seneca took off from Springfield, Kentucky on a flight to Panama City, Florida on February 14th, 1994. Five hours later, he woke up over the Gulf of Mexico with 20 minutes of fuel remaining. A distress call on 121.5 mhz raised Coast Guard assistance and he was directed to St. Petersburg, Florida. He ran out of gas 70 miles short and was picked up by a Coast Guard helo. A local yachtsman pulls a Stanley Lord on you. Your story is so weird even you don't believe it. The day before Christmas Eve 1986, two crewmen of a DC-4 were picked up after having drifted in a liferaft for 16 hours. They reported ditching a four-engine DC-4 after one engine caught fire but no radar track was produced, a mayday on guard frequency went unheard and no wreckage ever washed ashore, despite the size of the airplane. The pilot of a Beechcraft Sierra nearly had the runway at Bridgeport, Connecticut made when the engine quit, dumping him into Long Island Sound. His upended lunch cooler kept him afloat until rescue arrived. Those range and endurance tables in the POH really are right. On July 18th, 1988, a Seneca pilot returning to St. Petersburg from the Bahamas ditched in Tampa Bay while on approach. Seven occupants escaped without injury. Investigation revealed that the fuel tanks were bone dry. Departing St. Augustine, Florida on April 19th, 1986, the pilot of a twin Beech neglected to doublecheck the fuel selector for the left engine. It quit and he failed to feather it and retract the gear. The accident report described the impact as a "crash" but the two occupants escaped with minor injuries. See Myth 5. The accident record simply doesn't support this impression. In the 179 accidents we reviewed, only one mentioned flipping over on impact. It was a high wing, fixed-gear single (a Cessna 172). But at least 60 other high wing airplanes ditched and none of the pilots reported flipping over. Is it possible that many of the high wing airplanes flipped and the pilots were just too pumped up to notice in their hurry to exit the airplane? Sure, it's possible. After all, the accident narratives are often too sketchy to draw definitive conclusions. But again, even if every high wing airplane flipped over on impact or cartwheeled end-over-end across the water--highly unlikely, by the way--the occupants still managed to egress successfully. That doesn't argue for complacency in attempting the smoothest, slowest speed water touchdown you can manage but it strongly suggests that worrying about a flip-over is a misplaced concern. Yet another thing pilots worry about--but shouldn't. While you don't want to dally around collecting your personal belongings, there's usually plenty of time to egress a sinking airplane. In some cases, there's time enough to exit and reach back in to retrieve survival gear or other items. Again, the record doesn't show how long the typical airplane floats after a ditching. Indeed, there appear to be too many variables to even hazard a guess at what "typical" is, if there is such a thing. Some airplanes float for only a minute or two, others are still adrift two days later. The important thing to remember is that crew and passengers don't hang around to observe buoyancy potential, they evacuate and do so with a great deal of success. One fear that's largely unfounded is that of going down with the ship. True, as mentioned above, there are instances of this in extreme conditions, but these are rare. Overall, out of 179 ditchings, we found seven in which the occupants didn't escape and three of these were high wave conditions in the open sea. In one of the stranger accidents, the bodies of two people were found pinned in a Piper Aztec that ditched off the Florida coast at night. Investigators were quite certain that the bales of marijuana that shifted forward from the backseat had something to do with the outcome. In the another case, a CFI and his student ditched a Cessna 152 off Long Beach, California after the engine quit. The student couldn't open her door or release her seatbelt, but the CFI got her safely extricated out his door. They treaded water for 15 minutes before being picked up by a boat. Probably not. Pilots of all skill levels seem to put airplanes into the water and survive the experience none the worse for wear. Five of the ditching incidents we reviewed involved student pilots on solo flights who presumably had no ditching training at all and very little flight experience. For that matter, even seasoned pilots generally don't have so much as an orientation on ditching. We doubt if many have even read section 6-3-3 in the AIM (Aeronautical Information Manual) describing safe ditching procedures. Again, in reading the accident summaries, it's difficult or impossible to tell how well the pilots and crews are equipped for overwater flight. In our estimation, however, most pilots are poorly equipped. Some carry personal flotation devices (PFDs), far fewer carry rafts and other survival gear. In reviewing the 179 accidents, we found PFDs mentioned five times and rafts mentioned four times. Still, as the overall record shows, pilots somehow muddle through anyway. This is certainly due in part to the fact that the majority of ditchings--86 percent, to be exact--occur in what we call "coastal and inshore water," along an ocean beach, in a sheltered bay not far from land or even a lake, a river, a pond or a canal. Many of these ditching sites are within sight of land or boats and the egressing pilots and crew are able to swim to shore or are quickly picked up by helpful yachtsman. Is swimming for it really a good idea? We would be inclined to say no, but the record suggests the opposite may sometimes be true. In 13 of the 179 ditchings, pilots and crew successfully rescued themselves by swimming to shore or--in two cases--to oil platforms. In five cases, occupants attempting to swim for it drowned or succumbed to exposure, although other occupants from the same aircraft survived. If there's any pattern to any of these ditchings, it emerges at this juncture: Eight of the 179 ditchings involved banner tow pilots who put it into the drink off a beach, extricated themselves, and swam or waded ashore. Every one of these pilots survived, leading us to the conclusion that even though the touchdown may be violent and unpleasant, surviving it well enough to swim for it is highly likely. Whether to do so, however, becomes a matter of judgement depending upon the circumstances. In these cases, very close to shore, it seems to work. Does this then support the argument that you really don't need survival gear? We think not. At minimum, a personal flotation device for each occupant--plus an extra or two--is cheap insurance in any airplane, even those based in the landlocked desert. Although you may not fly any "serious" overwater legs, you'll still have brief exposure over rivers, bays, lakes, and along ocean shores. PFDs improve the already good odds of survival. Obviously, you don't need a survival suit to cross Long Island Sound, but there's little question that a life raft of some sort greatly improves survival odds. A raft does two important things: It gets the occupants out of the water, thus reducing hypothermia risk, and it vastly improves the probability of detection when Search and Rescue (SAR) comes looking. Unfortunately, we can't tell you what the average time in the water is, the NTSB records aren't clear on that point. Sometimes it's mere minutes, other times hours or even overnight. One pilot drifted in his life vest for 25 hours near Hawaii after ditching a Grumman. Lucky for him, his friends notified authorities, for he hadn't filed a flight plan nor was he talking to ATC when his engine quit. We found at least five accidents in which a raft or PFDs would have made the difference between surviving and not surviving. One example occurred on September 11, 1987, when a Cherokee on an IFR flight plan ran out of gas and ditched into Long Island Sound. Both the pilot and passenger escaped uninjured and after a time in the water, the pilot decided to swim for shore while the passenger clung to an offshore structure. The pilot drowned and the passenger was rescued three hours later. There's little question that a raft would have favorably altered this outcome. There's also a subtle wake up call here: Even for an airplane on an IFR flight plan, SAR may be slow in coming. That doesn't appear to occur often, but it does happen. This, again, argues for being prepared to provide for yourself, including equipment to remain afloat and to signal SAR when it does arrive. When you're adrift in the water, you are on your own and it's better to have too much survival gear than none at all. One last comment on survival equipment: It's not sufficient to merely stow the stuff in the airplane and forget about it until it's needed. A minimal safety briefing of some sort--just as the airlines do--is a must. An example of why this is so important is illustrated by a bizarre accident that occurred in November of 1990, when a Cessna 172 pilot became disoriented off the Florida coast and ran out of fuel. He found a ship, circled it, and ditched nearby. The Cessna was laudably equipped with both PFDs and a four-person life raft. Unfortunately, one of the passengers inflated the raft inside the airplane, a calamity worse than the ditching itself. The passenger punctured the raft before exiting the airplane, thus rendering it useless. Furthermore, even though the flight was in distress, the pilot didn't even brief the occupants on PFD use and they were unable to find and don the vests. Two of the passengers survived, the pilot and another passenger died, although it's unclear whether they drowned after egressing or went down with the airplane. Tell that to the pilots of 29 multi-engine airplanes that went into the water during the eight year period we investigated. These represent 16 percent of all the ditchings. Of course, we have no idea how many twin pilots shut one down over the water and made it safely to shore without bothering to report the incident. Again, we know it happens, but we have no idea how often it happens. One crude way of measuring the multi-engine ditching risk is to examine the total fleet numbers measured against reported accidents. According to the FAA, the GA fleet was composed of about 169,200 powered airplanes, as of 1997. That includes pistons, turboprops and jets, but not gliders, lighter than air or experimental aircraft. The vast majority--85 percent--are single engine airplanes, the remaining 15 percent are multi-engine airplanes. At a glance, it would appear that multi-engine airplanes ditch at a rate equal to their representation in the overall aircraft population. The flaw in this reasoning is that multi-engine pilots may--and probably do--fly over water more readily than do their single-engine brethren, reasoning that the extra engine gives them a safety edge. This means that their actual exposure to the overwater risk is greater as a group than it is for single-engine pilots. This is pure guesswork, of course, and your guess is as good as ours. The important thing to know is that multi-engine airplanes aren't immune to the ditching scenario. These pilots need to carry the same safety equipment that single-engine pilots should. Also worth noting is why the twins wound up in the water: Of the 29 which ditched, 13 appeared to be bonafide mechanical problems in which engines quit for what seemed to be failures of some kind. Again, the blue water crowd is at greater risk. Eight of these incidents involved long range ferry flights, and in five of these ditchings the pilot was unable to maintain altitude after shutting an engine down because the airplane was legally overgross with excess fuel for ferry. In that sense, the ferry pilot suffers a unique risk; until he's burned off most of his fuel, having a second engine does him no good. If this is true, it doesn't seem to effect survival rates. During the eight-year period we examined, there were 19 helicopter ditchings, some in challenging conditions in the Gulf of Mexico. These produced only one fatality and in that case, the pilot drowned while swimming to shore. Two interesting observations relative to helos: They tend not to run out of gas, but to break. Half of the helo splashes involved known mechanical failures, four involved fuel contamination, but none involved fuel exhaustion. Second, even though helos involved in overwater operations are frequently equipped with skid floats, in at least three cases these floats failed to inflate as pilots fluttered toward the water in autorotation. Nonetheless, pilots and crew survived the ditchings, which without floats typically involve rollovers or pitchpoling as the rotor blades strike the water and dissipate energy in unpredictable ways. 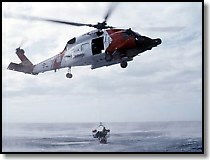 It is worth noting that in many instances involving the off-shore oil industry, both helo crew and passengers have received dunker training, better preparing them for a roll-over upon impact with the water. Because ditching accident details are wanting, drawing incontrovertible conclusions from a review of accidents is tricky business. Still, one thing is certain: Landing an airplane in the water under control is a highly survivable experience that appears to take very little skill, experience, or preparation. Nine out of ten pilots who attempt it succeed, even when ditching in the ocean close to shore. Given this high rate of success, it makes sense to carry at least basic floatation in every airplane, not just those which venture over water or coastal areas. If you ever find yourself afloat in a river or even a pond--and many pilots have--a device as simple and cheap as an inflatable life vest will greatly improve your already good odds of surviving. The need for a raft is less compelling for aircraft operated in inland areas. However, we consider it must-have equipment for forays over the Great Lakes, to the Islands of the Caribbean, and along coastal and inshore areas. This is especially true in temperate or cold climates where pilots and crew might exit a sinking airplane safely only to die of hypothermia awaiting rescue. Obviously, over-ocean ferry flights need far more sophisticated equipment and anyone contemplating such a flight should seek professional assistance. Having Search and Rescue close at hand improves survival odds. The best way to do this is to file and fly on an IFR flight plan. Nothing quite gets the attention of the SAR apparatus faster than a radio'd mayday call followed by loss of radar contact. The next best SAR insurance is radar traffic advisories while operating VFR. VFR flight plans and notification by relatives or associates are also useful, but since your position won't be known, the search may take a great deal more time. How to avoid going into the water in the first place? Don't run out of gas and/or make sure the gas you have isn't fouled with water or other debris. At least a third of all ditchings are caused by fuel exhaustion, mismanagement, or contamination. These are, quite simply, absolutely avoidable. Mechanical failures are listed as the cause in nearly as many ditchings--about 25 percent--as is fuel exhaustion, but we're skeptical of making too much of this. Many ditched aircraft aren't recovered, so investigators have to take the pilot's word for what happened. It's not that we don't trust pilots, but absent an examination of the air filled tanks, few are willing to admit running an airplane out of gas. Second, if flying behind a carbureted engine, apply carb heat immediately when you suspect icing. Time and time again, aircraft are fished out of the water with no apparent mechanical faults, strongly suggesting that carb ice is the culprit. Last, if you take no other wisdom away from this examination of ditchings, know this: All things considered, when faced with landing on the water or impacting trees, rocks, or other rough surfaces, the water is more likely to be survivable. Where this might come into play is during an emergency landing where the choice may be between a crowdedbeachor a rough wooded area and an expanse of open water. This should be no contest; the water wins. The pilot of a Mustang flying from Florida to Texas in January of 1990 faced this very dilemma. Arriving in the Galveston area in deteriorating weather and with minimum fuel, he attempted two instrument approaches but didn't break-out. Realizing he lacked the fuel for another try, he elected to ditch the airplane in the Gulf of Mexico. True, the NTSB spanked him for failing to plan the flight properly and he trashed a perfectly good--and rare--warbird. But, in the end, he lived to fly another day and if there's a bottom line on this topic, that's it. Ditching is eminently survivable. Given the choice in a forced landing, is it better to choose trees or water? © 1999 Belvoir Publications - All rights reserved.